As is traditional, it’s time for a few end of year posts, and as is traditional (for me), I’ve left them until the beginning of January when the year is actually complete and everyone is fed up with end of year round-ups. But hey, I’m a unique and special snowflake so I don’t care. 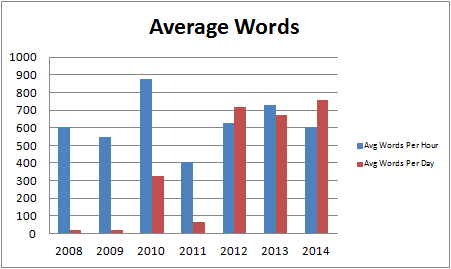 2014 was the first year I wrote every day so it’s no surprise that the overall word count is up from last year – 275,872 words compared to 169,080 in 2013. That’s a bit short of the 300,000 words I predicted a full year of writing would get me – maybe next year. Incidentally, that’s about the same number of words as professional author, Cherie Priest, hit last year which is a nice little factoid for a part-timer like me. Now, if I can just get the quality up to her level, I’d be happy. All those words took 19 days, 2 hours and 27 minutes to write. The switch to editing at the end of the year is pretty clear from those graphs and as I’m expecting to spend the next couple of months editing, that trend is going to continue. Despite all that editing and a reduction in my average writing pace (602 words per hour instead of 726), my average words per day went up from 675 to 756. Still not at the magical 1,000 words a day point but heading in the right direction. The focus this year was on long fiction, and although I started 13 short stories, I only completely finished 6 first drafts and 3 final drafts (one of which is the novella, Leah). The number of submissions is well down as well. I think that’s something I’ll try to address in 2014. There’s plenty of good anthologies out there, and some magazines that are on my bucket list. Sadly, one of my favourites, Shock Totem, is going on hiatus. Hopefully it will be back for 2016. 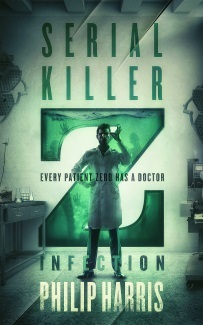 I did write the first draft of a new novel, working title The Zombie Book, though. And a few scraps and outlines of several more. I had three stories published this year – CAvE in Nebula Rift, Artificial Wife in Story Shack Magazine and Cag in Stories on the Go. Plus the reprint of The Bone Boy in James Ward Kirk’s Best of Horror 2013. That’s quite a step down from the 7 acceptances in 2013 but maintains my publication streak (now 7 years) so I’m happy with that. Lots of blogging this year as well – 174 posts compared to 107. A lot of those posts were the weekly metrics that I put up mostly for my own benefit. I stopped those towards the end of last year and haven’t decided whether I’ll start them again. 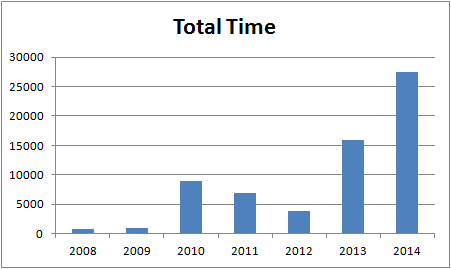 Last year, I started keeping records of the time I spend blogging and those posts took me about 108 hours which could potentially be an extra 65,000 words of fiction instead. I’m not quite sure what I think of that. I do enjoy the blogging, most of the time, but that would be a reasonable length for the first draft of another novel. 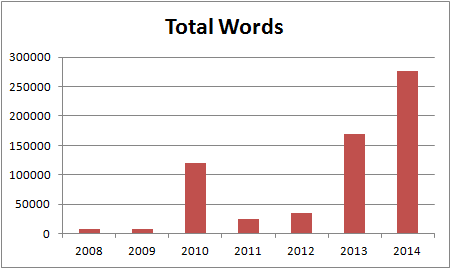 Overall, 2014 was a very good year for my writing. I feel my craft has moved on a lot and the stories I’m writing now are better than the ones I was writing even just 12 months ago. Of course, I’ve also made the leap into indie publishing and that’s the topic for tomorrow’s post.